Buy One Entree at Full Price and Get the Second Entree at Half-Price! Discount applies to lowest priced entree only. Dine-in only. 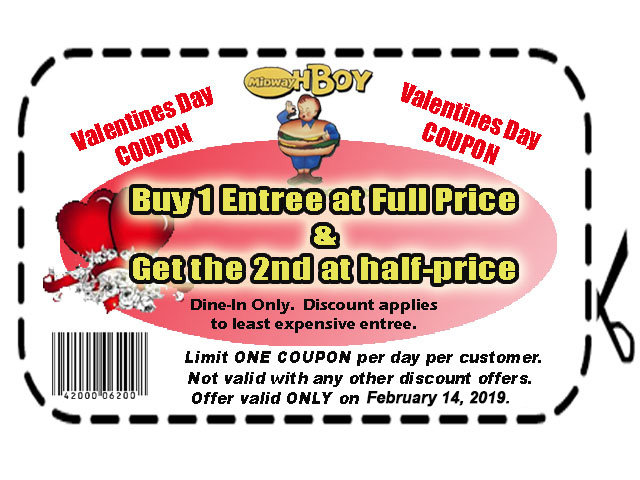 Offer valid only on February 14, 2019.